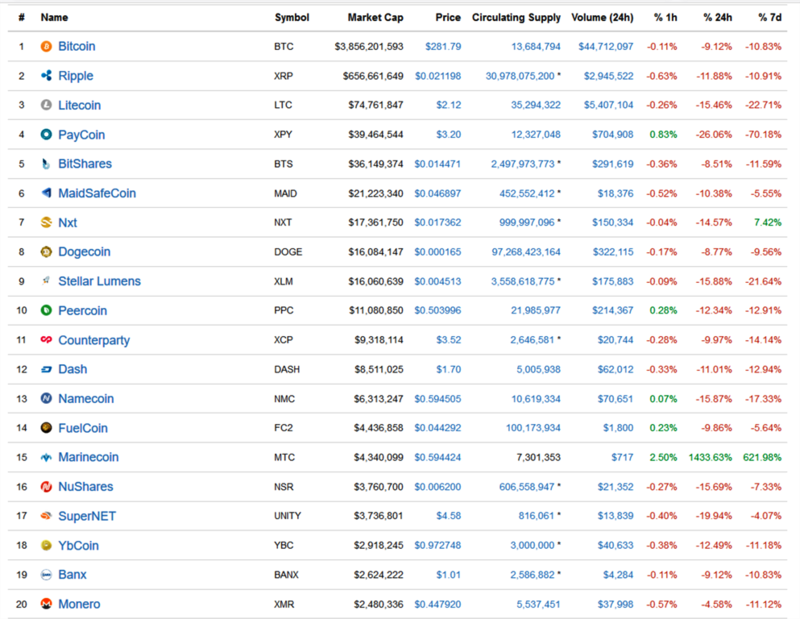 I’ve been getting this question quite often lately, “what are the best cryptocurrencies to invest in now?”, especially with the fact that there are now so many cryptocurrencies available; some of which are scams and some which would eventually lose value and fade away. Investing in cryptocurrencies is risky because, just as you can make a fortune with the right investment, you can lose your entire life savings in a wrong investment. Having this in mind, it’s best to stay safe and as much as possible, stay away from all the noise. So many people have lost their investments in ICOs. In fact, I personally warn about investing in ICOs. 90% of ICOs have no working project or even a prototype, they just want to get your money before they even start, so how sure can you be that they can fulfill the promises they are making? Please pay no attention to all the hype from the companies or people behind the ICO. If you feel a new cryptocurrency has prospects, do your research to make sure that there is a working prototype at least, then wait till the ICO is over and the cryptocurrency has been added to notable exchanges, then finally watch the price action for at least a month or two to ensure the currency price has stabilized from any pump-and-drop influence before going into it. This is because a lot of ICOs over-price their cryptocurrencies and when its enlisted on an exchange, it’s value drops to way much less than you paid during the ICO. Let’s take examples of Paragon coin and Latoken. During ICO, Latoken was sold for over $0.30 but was enlisted on HITBTC exchange at about $0.13 and kept going down; Paragon coin sold for up to $1.80 during ICO, but is currently worth $0.33. The list continues on and on. 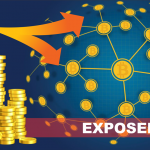 Some others have been outright scams, for example OneCoin whose founder Ruja Ignatova, along with the coin promoters have been arrested after investors had lost millions of dollars. 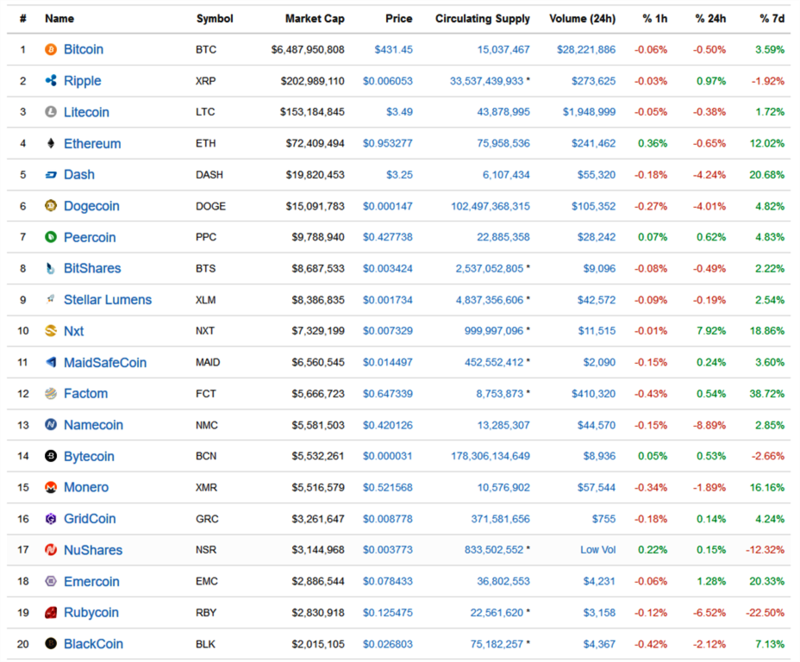 By April 28, 2013; coinmarketcap.com had just 7 cryptocurrencies enlisted with a Total Market Cap of $1,596,170,359. 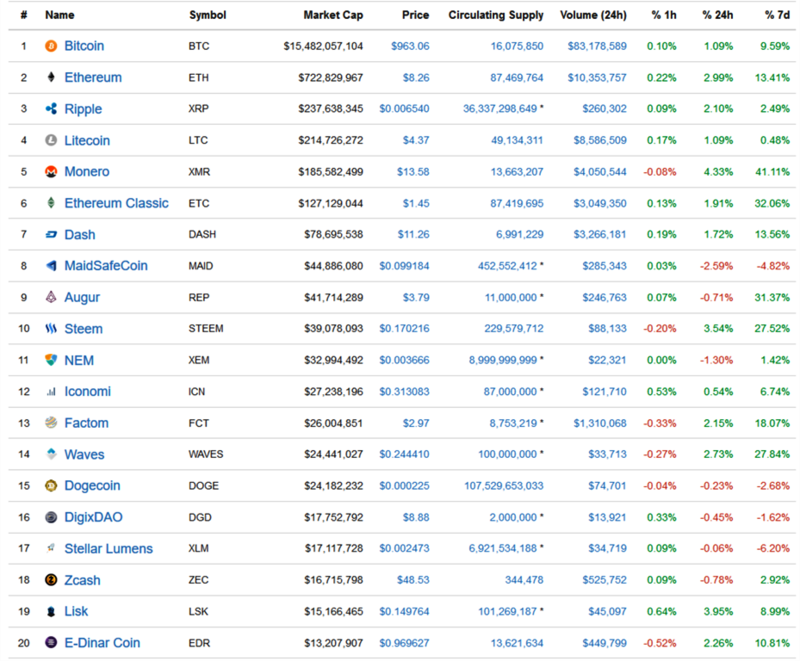 By January 4, 2015; the list had increased to 491 cryptocurrencies with a Total Market Cap of $4,843,378,229 (there was a serious price drop in cryptocurrency total market cap from January, 2014 to January, 2015) this is a historical event that many people have referred to when they say cryptocurrencies are in a bubble which would soon burst, bringing prices crashing down again. It’s obvious that 2017 has been a year of massive cryptocurrency boom, it’s a year that has kickstarted so many cryptocurrency-based projects that would consolidate in the years ahead, starting from 2018. However, it’s important to know that there are a lot of bad players in the game and it’s in your best interest to be safe. 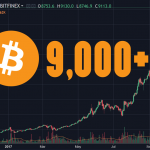 With so much news spreading of how Mr. A or Mr. B bought Bitcoin when it was just $0.15 and now it’s worth over $8,000, many people develop a dream of having the same experience, and feeling that cryptocurrencies like Bitcoin or Litecoin are already overpriced, they seek out new cryptocurrencies to buy at low prices and hold till they appreciate in value, hoping to make a fortune soon. This need has been capitalized on by a lot of opportunists to saturate the market with cryptocurrencies where most want-to-be-millionaires end up losing all their investments and having serious regrets. Now don’t get me wrong, I’m not saying that most of these tokens and coins are not legitimate and worth investing in, all I’m saying Is why gamble when you can play it safe? With over 1,300 currencies currently calling out to investors, there seems to be so much confusion on which cryptocurrency is best to invest in, and you could just make a mistake, so that’s why I prefer to tune down the noise and invest wisely. Are the Top Cryptocurrencies Currently Overpriced? Now, let’s take a practical example, Bitcoin. When Bitcoin got to $1,000, people said Bitcoin was in a bubble and the bubble would soon burst but what happened, it got to $2,000 and people said it’s now overpriced and in a bubble. Same was said when it got to $3,000, $4,000, $5,000, $6,000, $7,000, $8,000, and some people are still saying bitcoin is in a bubble. Believe me, they’ll still be saying this when Bitcoin gets to $1 million. Why has the price of Bitcoin continued to rise? It’s the first and most popular cryptocurrency. 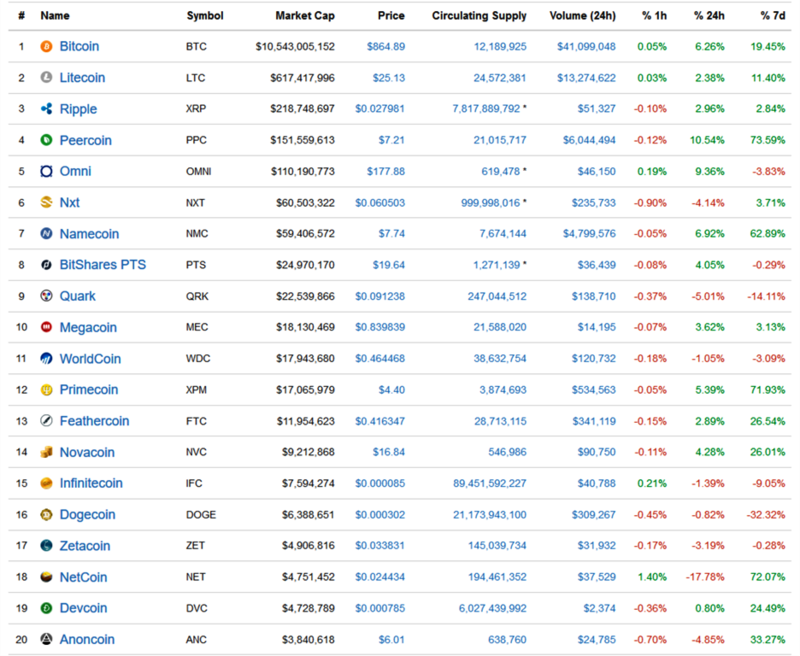 It’s has the highest cryptocurrency market capitalization which makes it the most stable. It has a maximum availability of 21 million, meaning that there would only be 21 million bitcoins ever mined in the whole world. 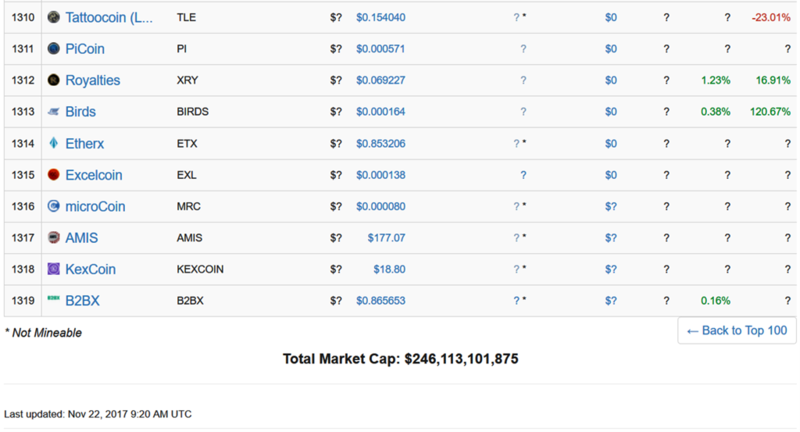 The price increase with increase in its market cap. 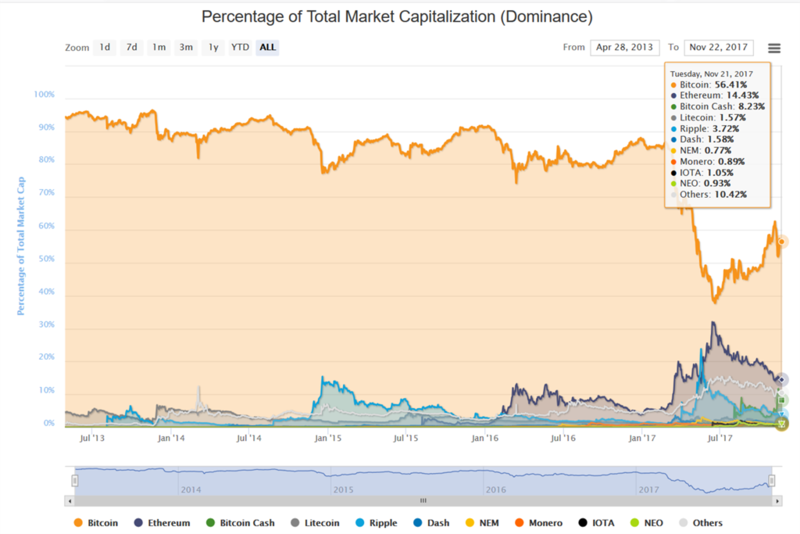 One thing you should understand is that any educated investor who wants to invest money in cryptocurrencies as a store of value would first look back at history to see which cryptocurrencies have performed well over the years and this is why the value of cryptocurrencies like Bitcoin, Ethereum, Litecoin, Ripple and Dash would only keep going up. According to visualcapitalist.com the world’s money and Markets are currently worth a low end estimate of $544 trillion (544,000,000,000,000 dollars) and a high end estimate of $1.2 quadrillion (1,200,000,000,000,000 dollars), whereas the entire cryptocurrency cap is just $246 billion (246,113,101,875 dollars) with bitcoin worth 137 billion dollars. This means that if bitcoin market cap should increase to 1 trillion dollars, one bitcoin would be worth $47,691. Now do you still think Bitcoin is overpriced? The best way to make money in cryptocurrencies is from making wise, informed and less risky investment decisions. I believe 2018 has a lot in store for cryptocurrencies and you can make a ton of money if you take off on the right ship, or else you’ll definitely sink. 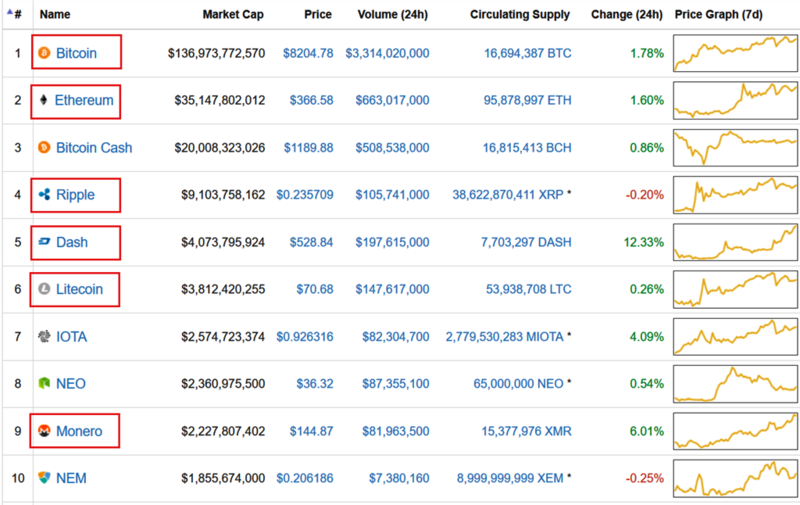 You might be wondering why my list is made up of 7 cryptocurrencies instead of 6 which I talked about earlier. 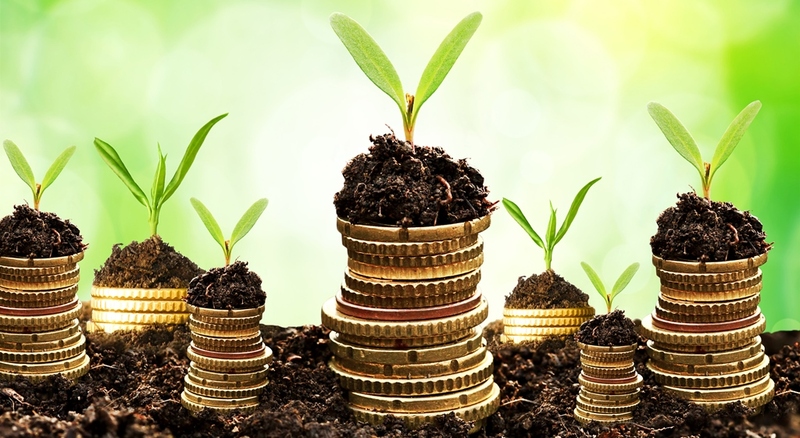 IOTA was created in July, 2017 and so doesn’t have the advantage of the historical analysis made for other cryptocurrencies, however IOTA has very unique properties that position it well to make it big in the cryptocurrency sphere, and it has also remained in the top 10 list since its creation. So, there you go. I believe with this portfolio (Bitcoin, Ethereum, Litecoin, Ripple, Dash, Monero, IOTA) you can’t go wrong with your cryptocurrency investments. However, I advise you to carry out your own research. This is just my own point of view.